Yesterday's edition of Tablet, the online Jewish magazine, featured an article on Orthodox Jewish comedy by Josh Lambert about how observant Jewish funnymen (and women) navigate the line between irreverence and devotion. For the most part, good comedy, including good Orthodox comedy—funny Orthodox comedy—isn’t kosher. Which isn’t to suggest that there aren’t sincerely devout folks in the comedy business. On the contrary, in just about every community, no matter how pious, somebody’s making a living telling jokes. And it should be noted at the outset that there are plenty of Christian comedians—even a few excellent ones, like Jim Gaffigan and Steven Colbert, who are faithful Catholics. But Judaism goes much further than most faiths in specifying the limits of proper speech. It’s not just that Jews are enjoined to avoid nivul peh—obscene speech—by authorities like Maimonides, who taught that “we must not imitate the songs and tales of ignorant and lascivious people” (Songs and Tales of Ignorant and Lascivious People would actually be a pretty good title for a comedy podcast). 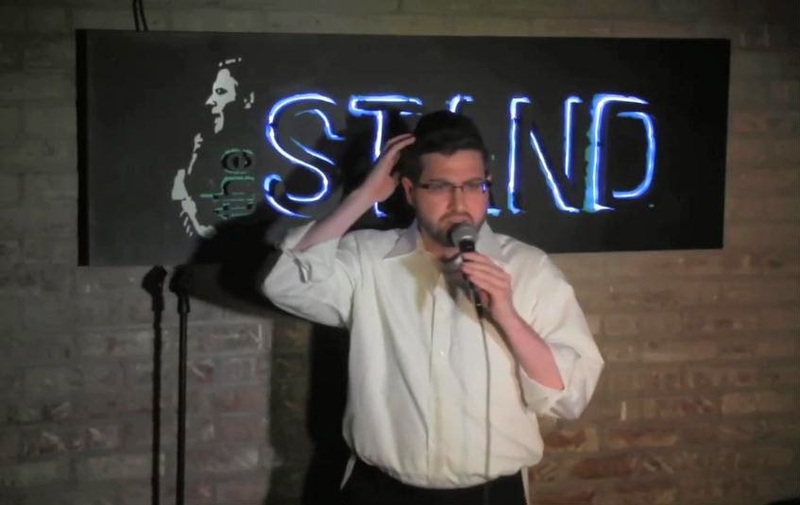 One of the Orthodox Jewish comedians profiled in the article is David Finkelstein, a stand-up performer who we have featured three times in the last year on Jewish Humor Central. His slightly unkempt look and his droll delivery with impeccable timing make him stand out in a field of observant comics whose routines are sometimes, and only sometimes, funny. David knows how to play to his audiences, which are likely to be a mix of Jewish and non-Jewish lovers of stand-up comedy. He performs at venues such as the Broadway Comedy Club in New York City, but does not have many video clips on the Internet. We were lucky to find a fourth clip of one of his sessions that we're sharing with you today.